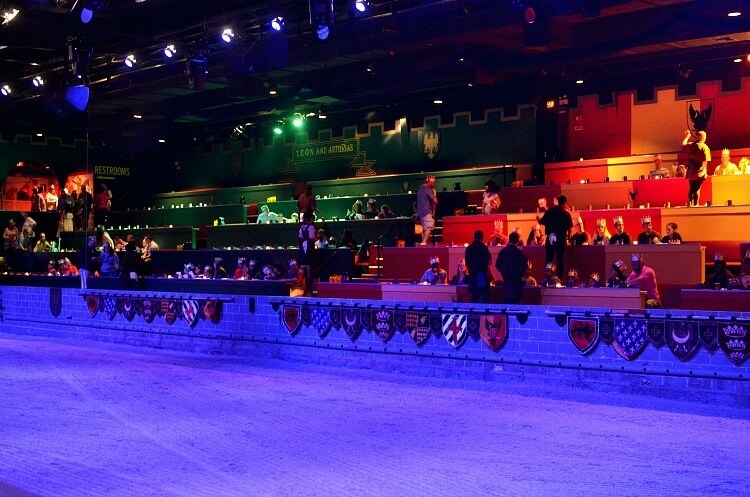 Medieval Times has been an Orlando landmark since I was a little girl. I remember begging my mom to visit ‘the castle’ on multiple occasions during our weekend stays in the area when I was growing up. She claims that we attended the dinner show at some point in my childhood, but I have no recollection of it. Now that I have a daughter of my own, I thought it would be fun to pay a visit to Orlando’s highly rated “dinner & tournament” during spring break. For good measure, I invited my mom along to relive the experience she had with me some 30 years prior – Medieval Times is celebrating its 30th anniversary in 2014! When we arrived, my daughter was taken aback by the fact that this was a real place. While we’ve taken many trips to Walt Disney World and the surrounding theme parks, we rarely make our way down 192 (Vine St.) in Kissimmee. Checking in for our dinner reservations was quite easy. 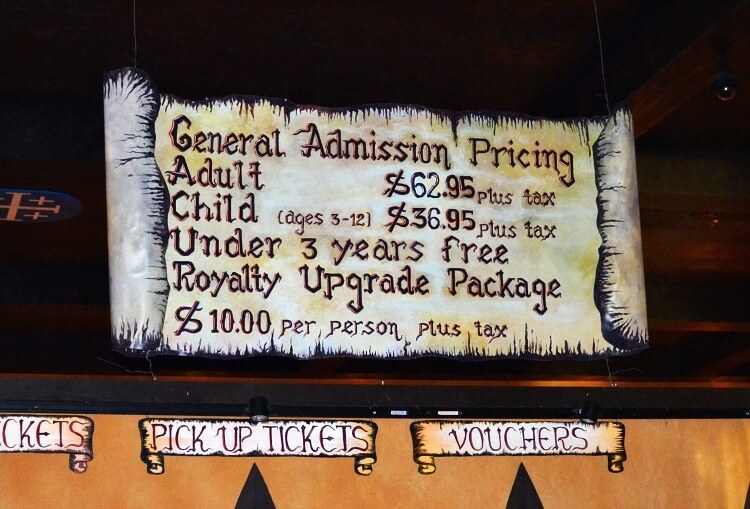 Upon entering the castle there are kiosks where you can purchase and/or pickup tickets. I received complimentary tickets as part of a media visit, but the standard pricing is below. 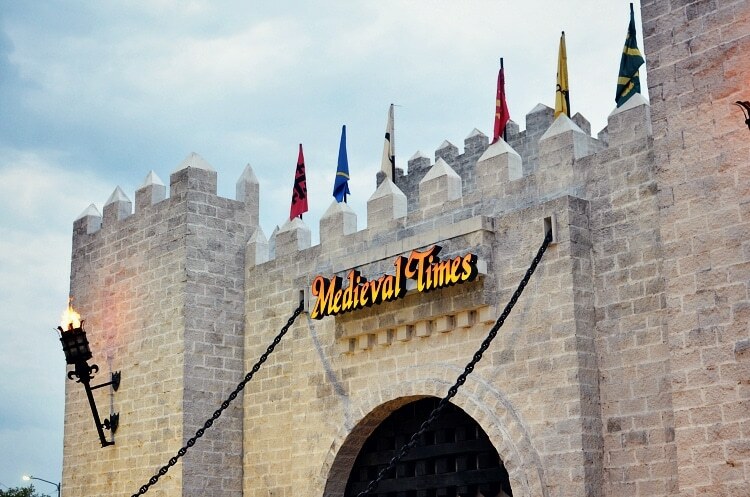 Make sure to visit the special offers page on the Medieval Times website before purchasing — there are some great deals, including buy one-get one ticket offers! Once we received our tickets and team color (yellow! ), we were free to wander the grounds until the next show. 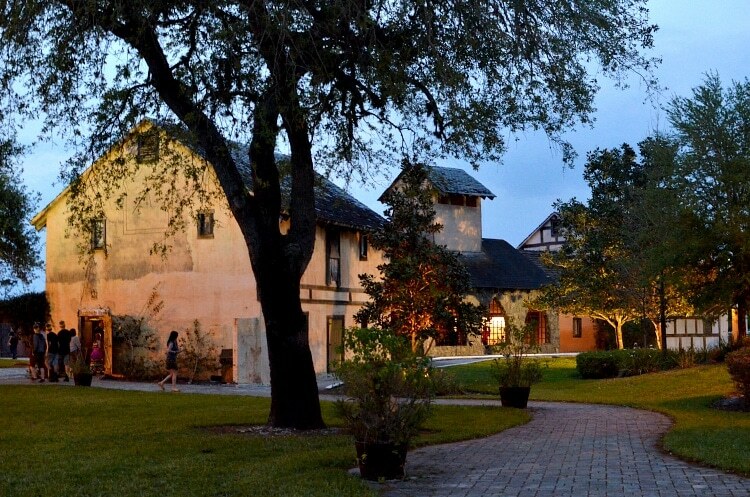 Showtimes vary by day of the week (our show was Friday at 8:30pm), and guests are encouraged to arrive up to an hour early to experience the surrounding Medieval village with authentic and replicated artifacts. 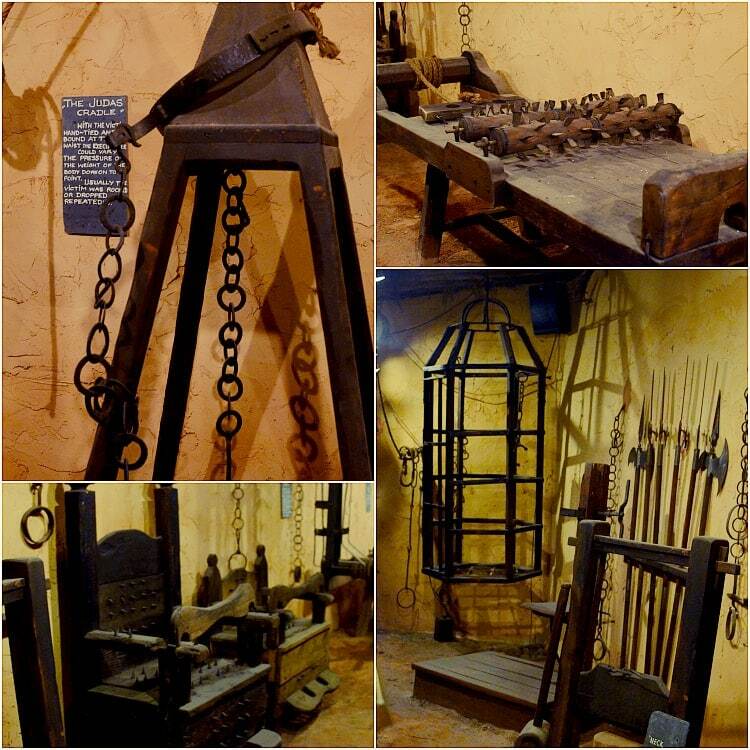 The most interesting section of the village (at least to my family) was the Torture Chamber with models of torture devices used in the 11th century. My 9-year-old daughter was just fascinated by all of the contraptions. Closer to showtime we made our way back into the castle to pick up our obligatory paper crown and take photos before being summoned to the arena for the tournament. Before being led to your seat, there’s a chance to order a beverage (both alcoholic and non) or purchase souvenirs from the Hall of Arms. The theming inside is really fantastic, and it’s hard not to get excited for the show. The dinner & tournament begin almost immediately after being seated. 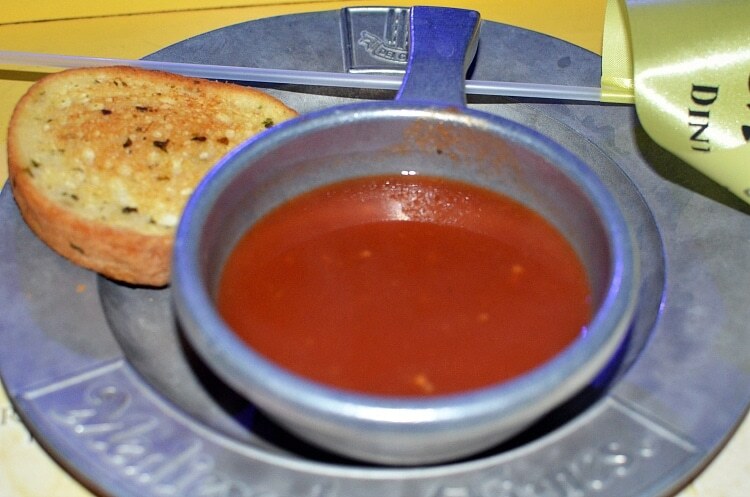 The first of three courses, tomato bisque soup with garlic bread, is served along with a choice of non-alcoholic beverage. One of the coolest aspects of the dinner, especially for kids, is the fact that you’re allowed to eat with your hands — no utensils are given, just as in the Medieval Times! 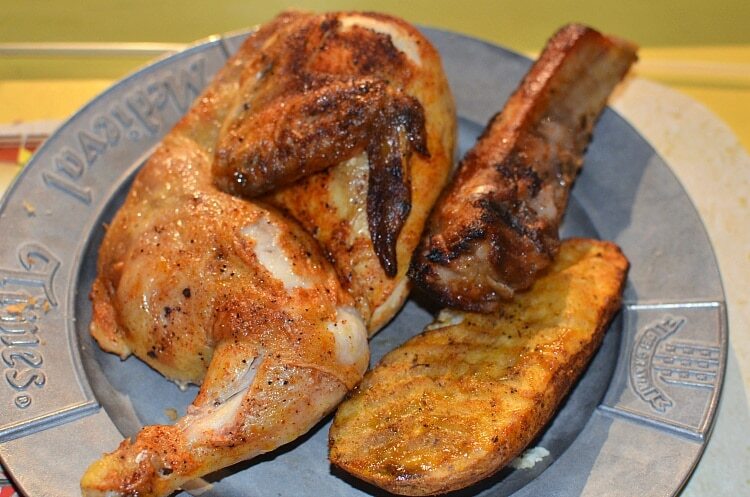 The main feast is served a little while later and includes a 1/2 oven roast chicken, spare rib and an herb-roasted potato. 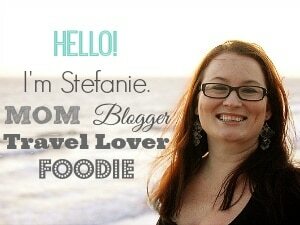 Fear not vegetarians, because there’s a special entree for you too! The food was good. Like really good. I was surprised at how hot and fresh everything tasted given the timing and scale of diners in the arena. The portions are a little crazy though — there was no way any of us finished half of our meal. We definitely left full! Dessert was a puffed apple pastry – it was so yummy that I ate it before I could take a picture. 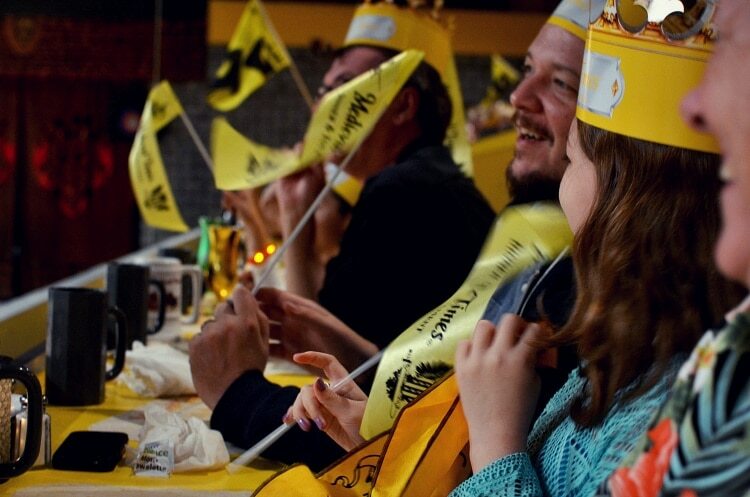 During the entire meal, the tournament plays out with series of events, including a beautiful horse showcase, falcon show, sword fighting and jousting. The arena is divided into color-coded sections and you’re encouraged to rally for your knight. We were on the team yellow, so each time he rode by on his horse we cheered. My daughter was even chosen as the yellow teams “Queen of the Tournament”, where she received a special sash and rose. The entire show was a lot of fun – the two hour experience just flew by! 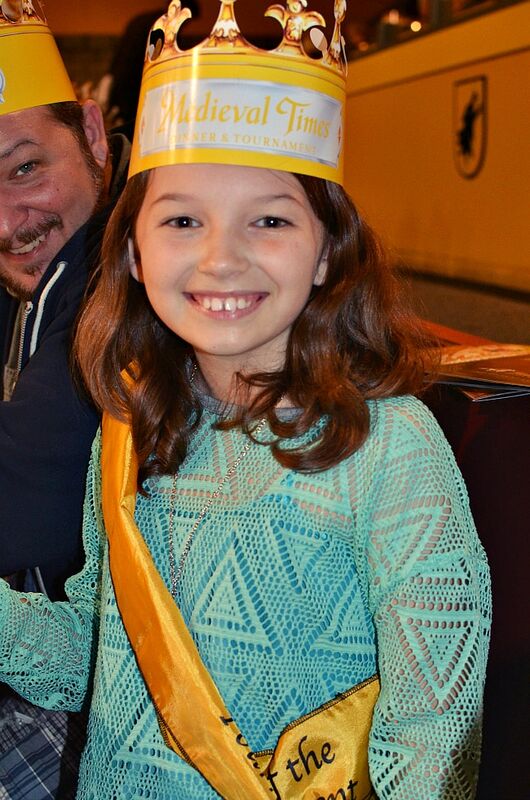 I’m so glad my family had the opportunity to spend an evening at Medieval Times, and I’m positive that my daughter won’t soon forget it … she’s already asking me when we can go again! 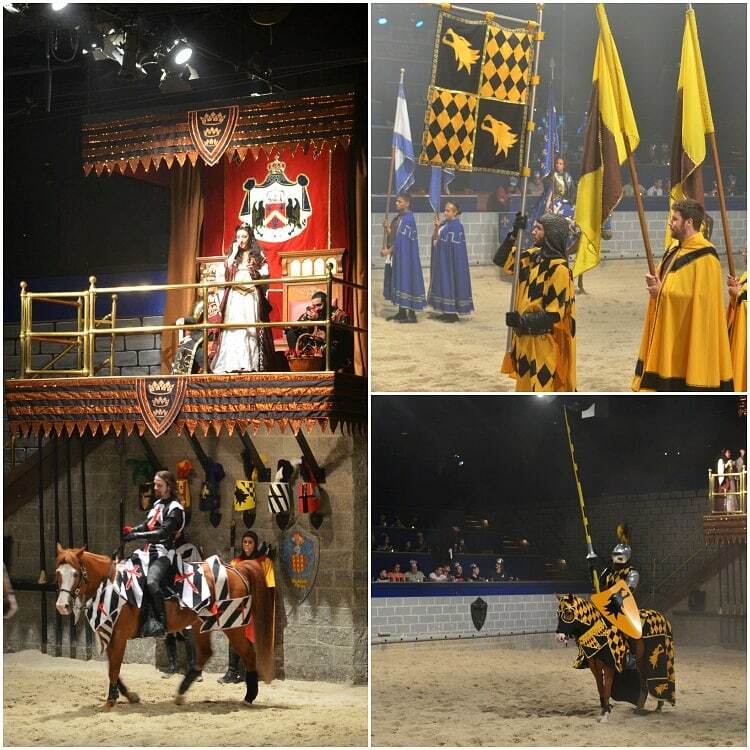 For more information and tickets, visit Medieval Times Orlando.